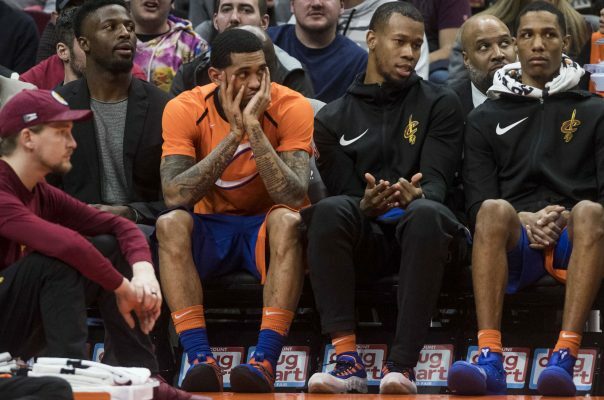 The Cleveland Cavaliers are getting mercifully closer to the All-Star break in what’s become a miserable season. 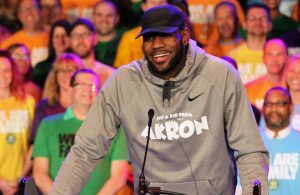 The combination of losing LeBron James and a string of key injuries has them angling for the top pick in June’s draft rather than their more recent focus of making moves to win an NBA title. This season began with John Lucas as head coach and ended with Keith Smart in that role. Regardless of who was at the helm, this was a bad team that actually split their first four games. However, 15 straight losses then followed and the focus soon turned toward finding a way to secure the top pick in the NBA draft, one in which LeBron James was the unanimous first choice. Lucas said last year that he was instructed to tank the season in order to make the James-to-Cleveland scenario more likely. Whether or not that’s true, the Cavaliers were 8-34 when he was let go in favor of Smart, who finished that season with a nine wins in the last 40 games. One indication of just how bad this team was can be seen by the fact that it managed to win consecutive games only once all season. Along the way, quite a cast of characters made up the roster, with Ricky Davis and Zydrunas Ilgauskas serving as the chief players on offense. 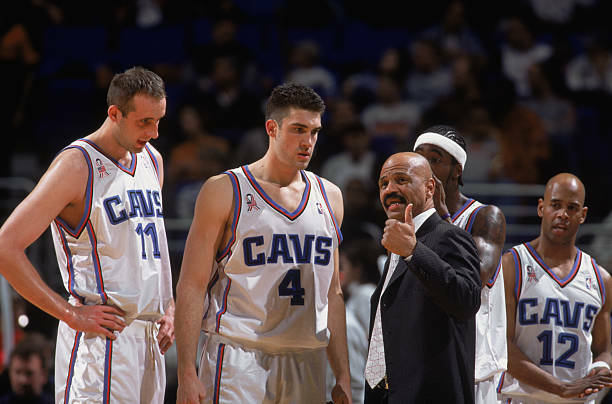 Ilgauskas went on to become a Cavs icon, while Davis will forever be remembered for his absurd attempt to pick up a triple-double. That charade came on Mar. 16, 2003, when in the closing seconds of an easy Cavaliers victory, Davis took an inbounds pass and took a weak shot attempt at the opposing basket in order to pick up the one rebound he needed. League rules didn’t allow the rebound, while Utah’s DeShawn Stevenson would deliver some NBA justice with a hard foul in retaliation. While this campaign is still in progress, there’s no real indication that things will be getting better over the final two months of the season. Prior to getting the year underway, the Cavaliers’ front office offered the hope that the team would contend for a playoff berth, despite having lost James in free agency. That proved to be a mirage, with head coach Tyronn Lue shown the door after the team lost its first six games. A string of key injuries followed, most notably by Kevin Love and Tristan Thompson, which turned the team’s rebuilding project into a total overhaul. Trades of veterans soon followed, with one of the players acquired in those deals, Alec Burks, dispatched last week near the trade deadline. The remainder of this year will continue to see head coach Larry Drew giving young players plenty of action to determine if they can be a part of the attempted rebuild. Love is in the beginning stages of his return, while Thompson will remain off the court during his second injury rehab of the season. 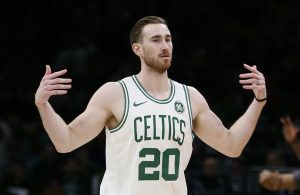 Despite what they and others can provide, this will still be a terrible season, but the prospect of again acquiring the top pick of the draft offers hope for the future. The July 2010 decision by James to take his talents to South Beach devastated a team that clearly wasn’t prepared for his departure. While the Cavs actually had a winning record of 4-3 after seven games of this campaign, the bottom soon dropped out of the season. It also helped make a mockery of team owner Dan Gilbert’s bravado that the team would get past James leaving. The collapse began in late November 2010, when the Cavaliers managed to win only once in a 37-game span under new coach Byron Scott. That awful stretch included a 26-game losing streak, a death march that finally ended with an overtime win on Feb. 11. 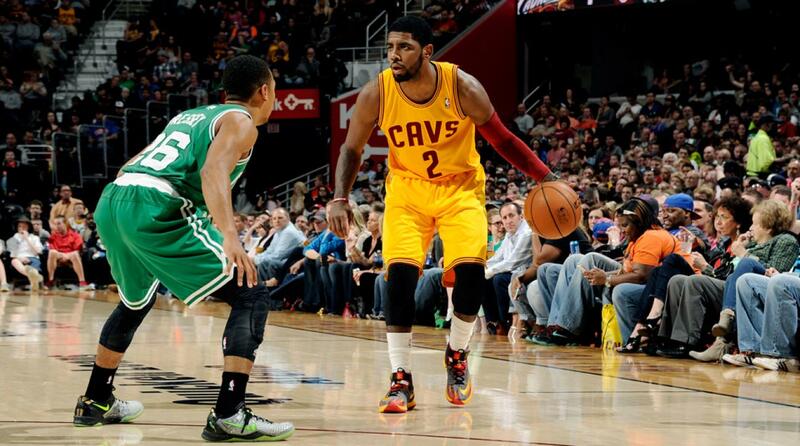 The Cavs did manage to finish the year with 10 wins in the final 28 games, including four in their last six games. One off-the-court move during that year turned out to be pivotal to the ultimate fortunes of the franchise. 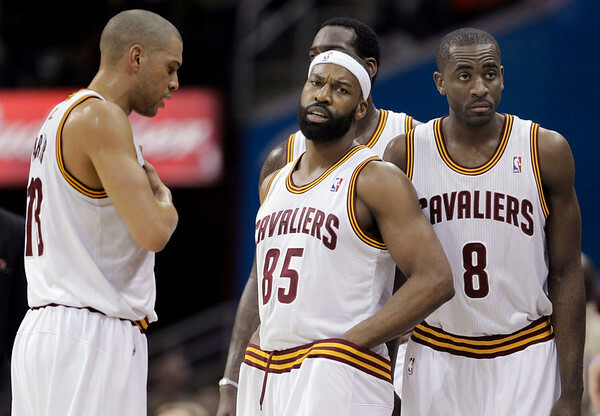 That was when the Cavaliers agreed to take on the huge contract of Baron Davis from the Los Angeles Clippers, acquiring the Clippers’ top pick in the process. 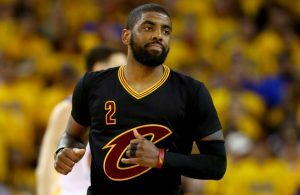 That turned out to be Kyrie Irving, who five years later would hit the game-winning shot to give the Cavaliers their first-ever NBA title. 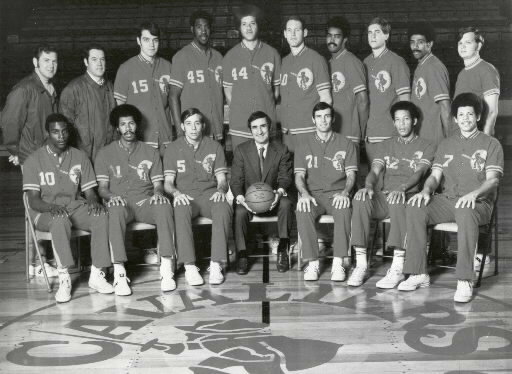 After Nick Mileti hired Bill Fitch as the Cavaliers’ first head coach, Fitch was given the arduous task of trying to develop a respectable team on a limited budget. That proved to be impossible, with the Cavs dropping their first 15 games of the season and compiling a record of 4-37 midway through the season. The Cavaliers were one of three expansion teams that season, with the schedule-makers attempting to offer them some help by pitting them 12 times against the Portland Trail Blazers and Buffalo Braves (now the Clippers). Cleveland did have two highlights during that trainwreck of a season. On Jan. 25, 1971, Dave Sorenson’s buzzer-beater stunned the Boston Celtics in a 117-116 win. On Feb. 19, the Cavaliers defeated their then-in-state rival, the Cincinnati Royals (now the Sacramento Kings), by a score of 125-109, with Cavs center Walt Wesley scoring 50 points in the game. 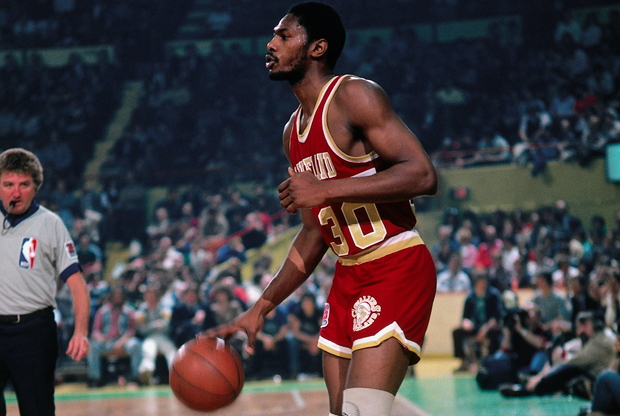 The Cavaliers’ futility did help them acquire the top pick in the 1971 draft, which turned out to be Mr. Cavalier Austin Carr. Unfortunately, Carr’s pro career was derailed by injuries, and while a 15-67 mark might be worthy of the worst-ever team, the fact that it was an expansion team offers it some cover from that designation. In the second year of the Ted Stepien era, the Cavaliers tied their team record for fewest wins in a season, but had no protective cover about being an expansion team. This was just a terrible squad that also had a lengthy losing streak which spanned the final 19 games of the season and the first five games of the following year. The team went through four head coaches that season, though Bob Kloppenburg only served in that role for three games while the team awaited the arrival of Chuck Daly. The impatient front office expected miracles from Daly, who inherited a mess and was fired after winning nine of 41 games. He then went on to become a Hall of Fame coach with the Detroit Pistons. Stepien replaced Daly with the widely reviled Bill Musselman, who won two of the final 23 games. This catastrophe of a franchise didn’t escape the notice of the team’s legendary broadcaster, Joe Tait, who constantly ripped the team and Stepien. 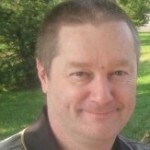 That got Tait exiled for a few years before he resumed his role with the Cavs a few years later. What made this Cavaliers season the worst of all time was that despite being in position to have the top pick in the draft, an earlier trade had sent that pick to the Los Angeles Lakers, who went on to pick James Worthy. Thus, the Cavs had no present, and at the time, no future. That belief changed when Stepien sold the team to the Gund brothers, who got the team back to respectability. The impulse to watch the current edition of the Cavaliers and brand them as the worst-ever is strong. Yet they still have some talented parts and will have two first-round selections in June to help with the rebuild. The first of those figures to be among the top picks in the draft, which can hopefully jump-start the push to create another championship-ready team.